We really know heating and cooling. We design every heating and cooling system we install ourselves. Speaking to any of our sales staff means talking with someone who really understands the products. Most of them once worked as installers, and have qualifications in plumbing, gas fitting, or refrigeration and air conditioning, with plenty of real-world experience to back it up. We’ll never stick you with someone whose only real knowledge is sales talk. Why should this matter to you? Because heating and cooling is about more than just good and bad systems. 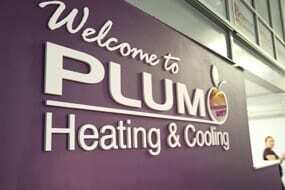 It’s about the right cooling or heating system to best fit your house and best suit your needs. Our expertise in heating and cooling also means we handle the warranty support on much of our product range ourselves. This means that if anything goes wrong, just give as a call. We’ll send someone out to repair it under the manufacturer’s warranty. Not many other outfits in Melbourne have the skills and know-how on board to do this. Our expertise goes beyond this industry-leading product knowledge. All our technicians and sales staff receive professional training and coaching in customer engagement and customer service. We do our utmost to ensure we’re always a pleasure to deal with. This commitment to customer service includes a focus on speedy service. Have you ever considered what would happen if you saved a couple of hundred bucks by getting a bottom-of-the-market split system air conditioner installed, only to find that when it breaks after a year, both the installer and manufacturer are no longer in business? It’s a real concern. Great value for money means more than just a low price. We’ve been around since 1992. The products we carry, likewise, are from big name brands who are in it for the long haul. Be confident that if anything ever goes wrong, we’ll still be around to help. We don’t cut corners. We have strategically handpicked our product range to provide the best technology and reliability that the industry can offer. Our guiding principle here is this: “What kind of heating and cooling products would we be willing to have in our own homes?” We supply these products on time, at a competitive price, with impeccable customer service. We are affordable, not cheap. Whether you’re looking for evaporative cooling systems, gas ducted heaters, or air conditioning, we’re here to keep you warm in winter and cool in summer for the life of your system and beyond. Please feel very welcome to browse our heating and cooling product range via our website. Whether you are looking for Heating vents, looking for installation manuals.. or feel free to pop into our showroom to experience the fully operational products. If you have any questions, don’t hesitate to give us a call on (03) 8360 9622 or shoot us an email via our contact form. It’d be lovely to hear from you.